There's an old L.A. music biz tale that details a stunned Brian Wilson accidentally overhearing a recording session down the hall from his own. As the story goes, Wilson was hanging at Studio Three West with Pet Sounds collaborator Gary Usher in the spring of 1966 when he caught snippets of a recording conducted by 21-year-old wunderkind Curt Boettcher. Boettcher, fresh from producing The Association's first record, and with something of a rare talent for soaring, angelic vocal arrangements along the lines of Wilson's very own, took Wilson and Usher by complete surprise. In fact, legend has it that Boettcher's ability to produce majestically layered instrumental and vocal pieces seemingly at the drop of a hat threw Wilson for a loop, and is rumored to have started the breakdown that would ultimately destroy his Smile project, and indeed his life ever after. Even if you don't buy the story, Boettcher's effect on L.A. pop cannot be denied. Usher would soon pull him in as a collaborator on what would later become Present Tense by Sagittarius, a psych-pop outfit whose only LP is one of the great, lost classics of "sunshine pop." Boettcher's other major projects in the 60s were work with his own band The Ballroom, and later, a curiously overlooked record by songwriter supergroup The Millennium. In addition to his love of exquisite harmony vocals, Boettcher's stereo productions were remarkably crisp for the time-- certainly more so that Wilson's concurrent adventures in mono. I'd say Boettcher's own songs (and that of most sunshine pop artists) usually weren't of the same depth as Wilson's, but that's another argument. 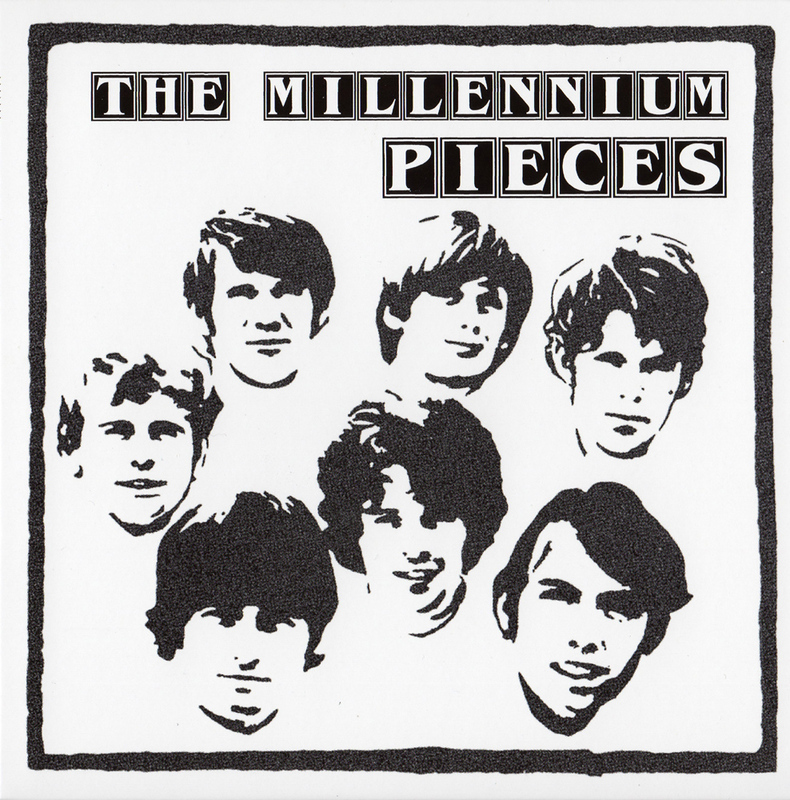 The Millennium was comprised of several successful songwriters and musicians living and working in Los Angeles in the mid-60s, including Lee Mallory, Sandy Salisbury and Joey Stec. All had worked with or around Boettcher and Usher, and proved themselves capable of delivering on what would become the largest recording budget in Columbia Records' history to that point. Their result was 1968's Begin, and though it's probably the single greatest 60s pop record produced in L.A. outside of The Beach Boys, it (like Wilson's music) found itself very much outside the times that year. After Begin tanked, the band was dropped from Columbia-- setting up the perfect cult record years later. Of course, the band had planned to make many more albums, and Pieces collects demos intended for their follow-up. 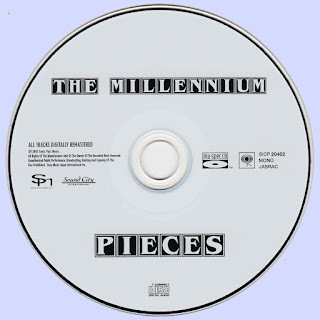 Anyone hip to The Millennium or other Boettcher projects might recognize many of the songs here, as they've been released before as Again, though Pieces includes many tracks that failed to make that compilation. Most importantly, almost all of these songs will be of interest to folks looking for perfect pop in the mold of The Association, Beach Boys and even into the budding country-rock of The Byrds. "I Just Don't Know How to Say Goodbye" is an almost perfect realization of the styles of each of those artists, though the tune and loose, gentle optimism of Salisbury's vocal give it a strength to stand on its own. The song, with rising, major-key guitar figures and a folkish bent (much of this music could have worked in a completely acoustic setting) did show up on Salisbury's 1968 solo LP. "Can You See" is one of many Stec/Michael Fennelly songs (the pair was also responsible for the magnificent "To Claudia on Thursday" from Begin), and is a typically upbeat, sunny tune that might pass for The Monkees were it not for its surprisingly down-to-earth lyrics lamenting love lost over material concerns. The strength of the writing throughout the album is such that the band's failure to break through is a little shocking. "How Much I Love You" is a tender acoustic ballad also penned by Stec and Fennelly, and though it probably helped give birth to Jewel mk. I, it's nonetheless at once achingly melancholy and performed with professionalism that could have made it a hit in another universe. The same goes for the pair's "Sometime or Another", though this actually approaches indie-torch song along the lines Uncle Tupelo. Although not every song on Pieces matches up with the band's best, none of it ever really betrays its origination as demo recordings. Boettcher obviously had some hand in this, though since all of the band were insiders to some degree, it's not surprising they had access to studios and engineers no other similarly unknown band could ever dream of. Song like "Suspended Animation" (first rate country-pop with a strange sci-fi theme) or the Beatlesque "It's You" sound better than 90% of the music to actually chart in 1968. The latter song in particular, with its pristine harmony vocals and chugging, "Baby You're a Rich Man" bass work, makes it hard to believe Clive Davis never saw anything in these guys. If all of this is news to you, my advice is to run out in grab a copy of Begin. After that, check out Sagittarius and Boettcher's other projects. And then, when you think you've run out of sugary fun-time pop with a faint dejected edge, head here. The Millennium deserved better way back when, but anyone interested in 60s pop and folk-rock should have no problem digging them now. Thanks for posting this CD. 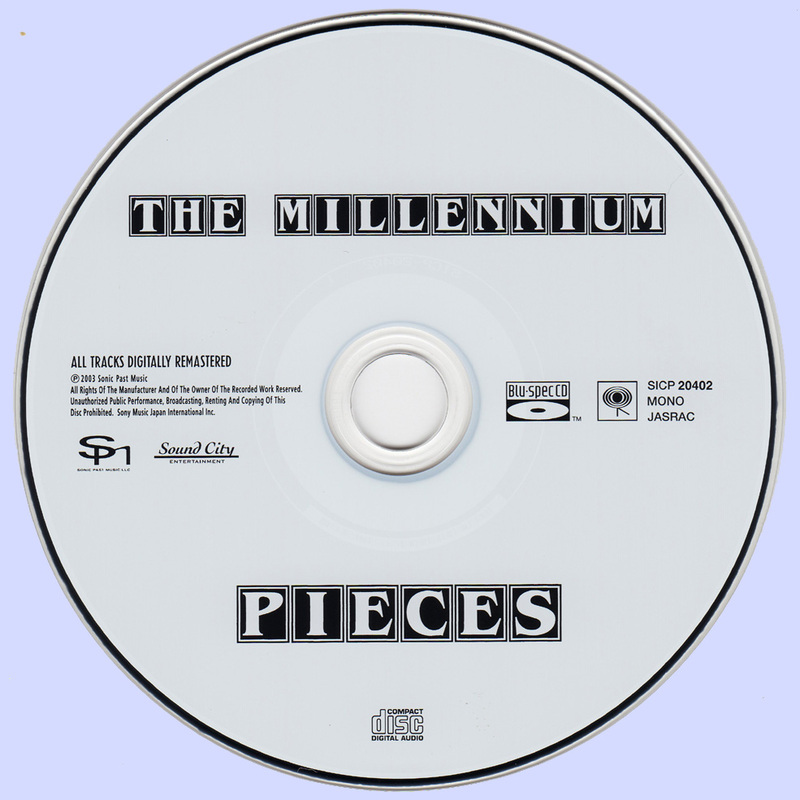 I have Millennium tracks on a 3 CD set, but many of the songs on the Pieces CD I don't have. I wonder why? Maybe these tracks are demos or unreleased. Brilliant indeed! Are you posting the rest of the box? Thanks! !